On Tuesday, former Forum for Democratic Change (FDC) president, Gen Mugisha Muntu announced his exit from the party following a closed-door meeting with the incumbent FDC president, Patrick Amuriat Oboi. The meeting that happened at Fairway Hotel marked the end of Muntu’s decade over stay at the party. According to highly placed sources, the former army commander left in the company of 22 Members of Parliament who include Bugweri’s Abdu Katuntu, former Leader of Opposition and Kasese Woman MP, Winnie Kiiza, Arua Municipality MP (he was sworn in so he isn’t MP-elect anymore) Kassiano Wadri among other notable figures. People Power – Muntu alliance? According to highly placed sources, Gen Muntu has been working out a plan to forge a political alliance with Kyadondo East MP Robert Kyagulanyi’s popular outfit –People Power. Muntu and Kyagulanyi allegedly met on Tuesday in the presence of lawyer and Bugiri Municipality MP, Asuman Basalirwa at an undisclosed location. Basalirwa confirmed the meeting to a local media house but declined to diverge any details. This information was also confirmed by Hon. Kassiano Wadri who is also allied to the breakaway faction. People Power – a movement that started off as mere sloganeering has gained national traction thanks to Bobi Wine’s popularity among the youth which has attracted even opposition politicians and independent MPs alike to ride on the tide to launch their political bids. Muntu’s relationship with Bobi Wine grew stronger when the singing politician diverted from opposition supremo Kizza Besigye to support independent candidate Asuman Basalirwa in the Bugiri by-election. The general even put his nationwide consultations on hold to join in campaigning for yet another FDC founding member Kassiano Wadri who defied the party’s position to run and win the Arua Municipality race as flag bearer. “Every now and then, it falls upon several generations to be great. We live in such times,”Muntu thumped on Bobi Wine’s chest when Wadri (who was in Gulu cells) emerged eventual winner of the bloody election that left one dead and 33 arrested – including Bobi Wine and several MPs such as Gerald Karuhanga and Paul Mwiru. Although Muntu’s announcement caught the attention of several in the political circles, it was not a surprise to many analysts who argue that it was only a matter of time. Muntu’s imminent exit from FDC and Bobi Wine’s being non-committal to join the party despite being close with Kizza Besigye were telling of the Muntu-Bobi Wine alliance. According to Doreen Nyanjura, the Makerere University Councillor, Muntu has been more present in Bobi Wine’s circles than in FDC activities. “When Bobi Wine is campaigning, Muntu is there. When he was brought before Court, Muntu is the one who stood surety for him. The writing has really been on the wall all along,” she said. According to sources this newspaper spoken to, the plan is that Muntu keeps western Uganda and the army at the table while Bobi Wine brings Buganda and the youth majority to the ballot. “There is so much ethnic tension, especially between Buganda and Ankole. The Baganda are threatening violence against the Banyankole and Bobi Wine does not have the capacity to prevail over this in case he wins. “This is where Muntu comes in – to use his organisational capacity and strong statesmanship to keep the warring factions together,” said John Mary Kanyamurwa, a political science lecturer at Uganda Christian University (UCU). This is a point of view that Fortunate Ahimbisibwe, a former World Bank Strategist and supporter of both Muntu and Bobi Wine shares. Ahimbisibwe argued that Muntu has the power to attract disgruntled members of the of the NRM and also tap into huge of the Uganda middle class and elite group that have been staying away from the elections giving President Museveni a considerable advantage. “It is very clear that Bobi Wine is a factor in Uganda’s transition. He has the goodwill of young people, but that alone is not enough. That is why if he joins forces with Muntu, it becomes a formidable force. “Muntu will attract the middle class, some unhappy NRM people who are unhappy with the regimes increasing intolerance and repressive tendencies,” he noted. “One thing I know is that Ugandans will always vote for only two people at the presidential level. On who those two people will be can only be decided not by the process like TDA or IPC but the people,” Byamugisha said. 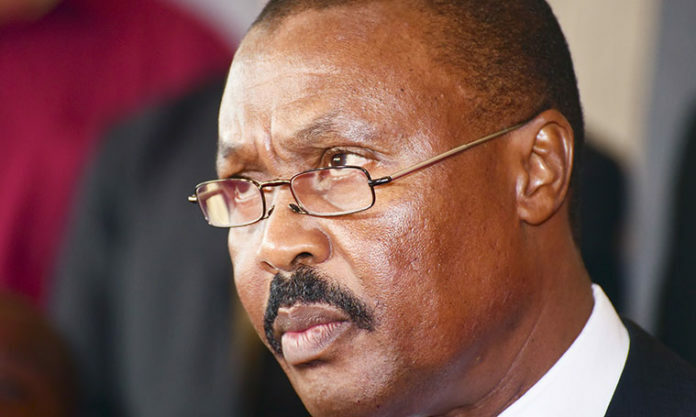 In a statement, Muntu blamed his exit from FDC on the party’s insistence to use the defiance approach to cause regime change rather than a multi-pronged strategy. This, he argued, alienated several members who felt that space within which to operate had narrowed and as thus, needed to start over. “Not towing the ‘correct line’ meant being branded a mole. After the elections, many of us sincerely wondered whether there was still a place in the party for our views or if we were simply expected to keep quiet and follow whatever others believe. This is not a sustainable way to live or lead,” Muntu said. In a few hours’ time, Muntu will reveal his next plan. Bobi Wine who could not comment on this article told the media on Monday that he is not looking at politics of structure but the Veteran politician, Yona Kanyomozi thinks this strategy is self-destructive. “In politics, you need structures and systems of organisation. I respect Bobi Wine for his work and his appeal is very high but to win on the election, he needs structures and Muntu can give him that edge,” Kanyomozi said. Flash Uganda media will keep you updated.